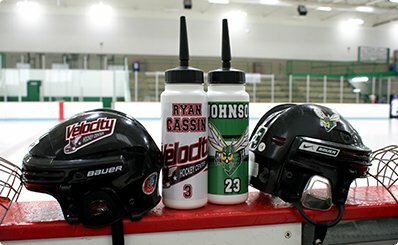 Team Bottles began in the fall of 2010 when I made a personalized water bottle for my son and two of his hockey teammates. The bottles were a hit with the kids for the simple reason it had their community logo, their names and numbers. In addition to how cool the bottles look, they also promote health as the days of the team-shared bottles are over. Kids are not spreading sickness throughout the team when they are using their own personalized bottle. As more and more parents and kids saw these bottles, the more bottles we sold. Soon there was demand for the bottles from coaches, team managers, and association directors from other communities. From there Team Bottles was born. Want your athlete to stop losing their water bottle and sport gear? Worried about shared water bottles and germs being passed around? We can help !! Each bottle or equipment decal can be customized with the athlete’s name, number, mascot, and sponsor or motivational statement if desired. Our personalized Canadian made bottles are dishwasher safe, durable, BPA / PABA free, and decorated in Minnesota. We offer a small 17oz bottle (short spout pull top only) and larger 34oz bottle with short spout or long straw top. 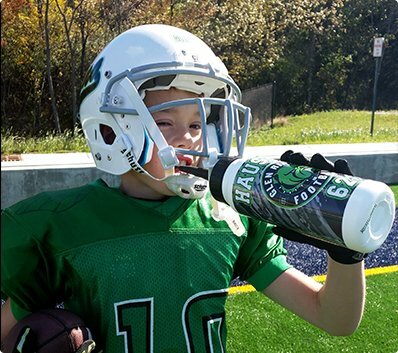 Athletes will be less inclined to share their bottle, passing germs around, so the whole team stays healthier! Kids will also be less likely to lose their sport equipment when it has their name on it. And even if they do leave something at the rink or field, when personalized, items are more likely to be returned. Sport specific packages are great for the entire team – building morale and pride. We also have great items for travel team so you can show your spirit on the road. All of the design work and production is done in Hopkins, MN. 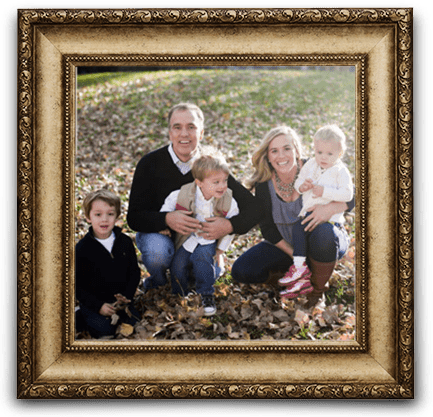 We use Eco-Solvent inks to print the graphics, all of which are laminated for added durability. What sets us apart from the competition is the quality of our products and outstanding design options.